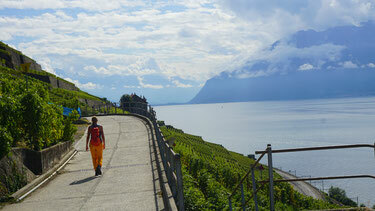 Lavaux terraces - a very special hike - Life is a lucky bag! Fall is a perfect season for hiking. The temperatures are lowering, but you can still have some nice and sunny days or hours. There isn't a lot of snow, yet (at least on a lower altitude), so you don't need special gear and maybe not even a thick jacket, gloves etc. Additionally, I love the fact that the world is changing (again). The trees start to dress up in red, yellow and orange. The time of harvesting begins and of course: this is the season of the vineyards!!! Let me take you on a journey through the most beautiful vineyards you've ever seen! 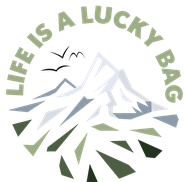 For this hike you have to go to Lutry, right at the lakeshore of Lake Geneva, Switzerland. Lutry is a lovely little village in the swiss canton Vaud. Tiny houses, some beautiful shops and cafés and the first stop for our hike through the Lavaux terraces. 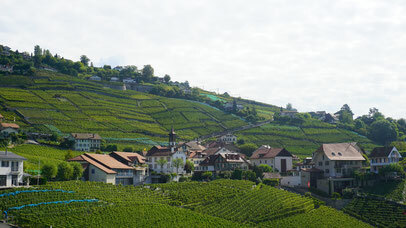 The Lavaux terraces are one of the nine World Heritage Sites within Switzerland. These terraces go back to the 11th century, when monks used to grow and harvest wine along the sunny lakeshore. It is an incredibly beautiful area to go for a hike and also perfect for a cycling tour, as it stretches along the lake for around 30km. Our hike begins in Lutry. You can either leave your car here on one of the big public parking lots (5hrs for around 7CHF) or come here by train from Lausanne or Geneva. 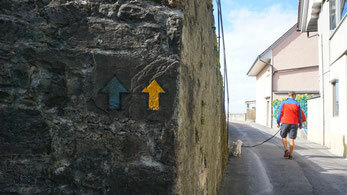 Finding the trail is easy: follow the yellow signs (from the train station) uphill into the vineyards. The trail is completely paved, so it is suitable for everyone (and every dog). Please consider the fact that you will be walking through agricultural area, so your dog should be on the leash all of the time. Our hike leads us from Lutry to Châtelard and uphill to Grandvaux. All along the perfectly marked trail you will find lots of wineries and restaurants. Perfect spots to stop by, try the local wine or have a little break and regional snacks. When you leave Grandvaux towards Riex and Epesses the terraces will be a lot smaller, but also steeper. 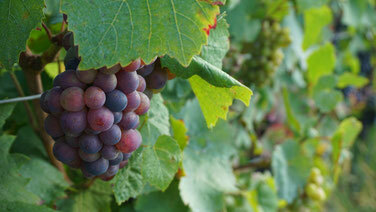 By this time of the year, the grapes are already heavy and juicy - but please don't pick them! The winegrower will need them! Keep following the trail and you will arrive in Saint-Saphorin after 3-4 hours hiking. You can either have a break in one of the restaurants around here or head towards the train station and go back to Lutry (once per hour, 5,60CHF per person) or to Geneva or Lausanne. You can download the GPS-track for this hike below this picture!